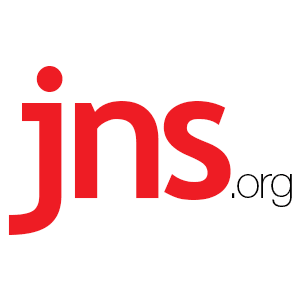 Israel, Egypt, Jordan, and US Held Secret Peace Summit Last Year - Breaking Israel News | Latest News. Biblical Perspective. Israeli Prime Minister Benjamin Netanyahu participated in a secret diplomatic summit a year ago in Aqaba, Jordan, with then-U.S. Secretary of State John Kerry, Jordan’s King Abdullah and Egyptian President Abdel Fattah El-Sisi, Haaretz reported Sunday. At the meeting, Kerry reportedly presented a regional peace framework that included recognition of Israel as a Jewish state and the renewal of Israeli-Palestinian negotiations with the support of Arab nations. Netanyahu responded that he would have trouble garnering support for Kerry’s proposal within Israel’s governing coalition. Several months later, Kerry presented Netanyahu with a framework to resolve the Israeli-Palestinian conflict, including a demilitarized Palestinian state based on the 1967 lines with land swaps, with Jerusalem serving as the capital of both Israel and the Palestinian state. Netanyahu rejected the proposal. When the subject was raised Sunday at a Likud party ministers’ meeting, Netanyahu did not deny the existence of the Jordan summit, and even hinted that he—rather than Kerry—had initiated it, contrary to Haaretz’s report. “Who says that this (the report of Kerry initiating the meeting) is accurate? Maybe I was the one who initiated this meeting,” Netanyahu said, essentially confirming to the ministers that the summit had taken place.